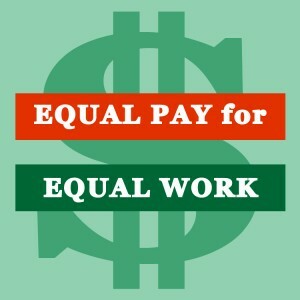 But what about equal pay in tech? Is there a gap? If so, is it smaller or larger than other fields? 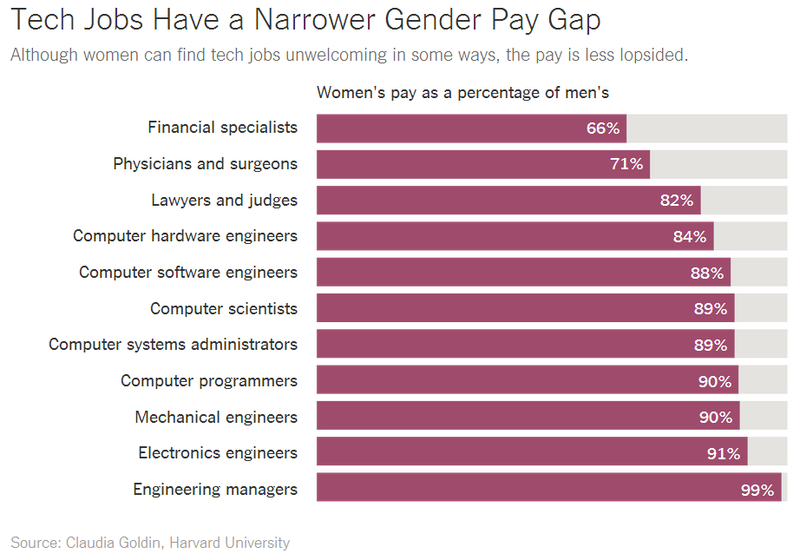 Via research from Harvard University, The New York Times says, “in the tech sector, the pay gap between women and men is one of the smallest.” The study analyzed different fields, from car makers to publishers. Why is this? A key reason women in tech fare better in terms of salary is that tech jobs tend to offer more flexibility in terms of where and when people work — the most important element in eliminating the pay gap, according to Ms. Goldin’s research. Compared with jobs in business, health and law, people who work in technology and many science jobs have far less pressure to be around at particular times and have face-to-face discussions with colleagues and clients. Writing code at a computer can be done at odd hours and from home.